With a double crash – first Aleix Espargaró in the early stages of the race and then Sam Lowes toward the end – the Valencia race ended, the last MotoGP round of 2017. Aleix, after starting from the third row, was pushing to stay in the top ten and to stay in contact with the best when he crashed on turn one during the fourth lap. In any case, it would have been a difficult race for Aprilia Racing Team Gresini’s Spanish rider who, upon returning after surgery to his left hand, had to reckon with a pesky bout of bronchitis throughout the weekend. Sam Lowes, in his last race on the Aprilia MotoGP bike, crashed during the 22nd lap. The double zero compromises Aprilia’s MotoGP season which saw the RS-GP growing consistently until achieving performance worthy of the top positions with Espargaró. On several occasions, Aleix came close to a top five finish and the bike made significant progress in qualifying, almost earning a spot on the front row several times and taking the fourth best time in the GP of Japan, the best grid position for an Aprilia in MotoGP history. 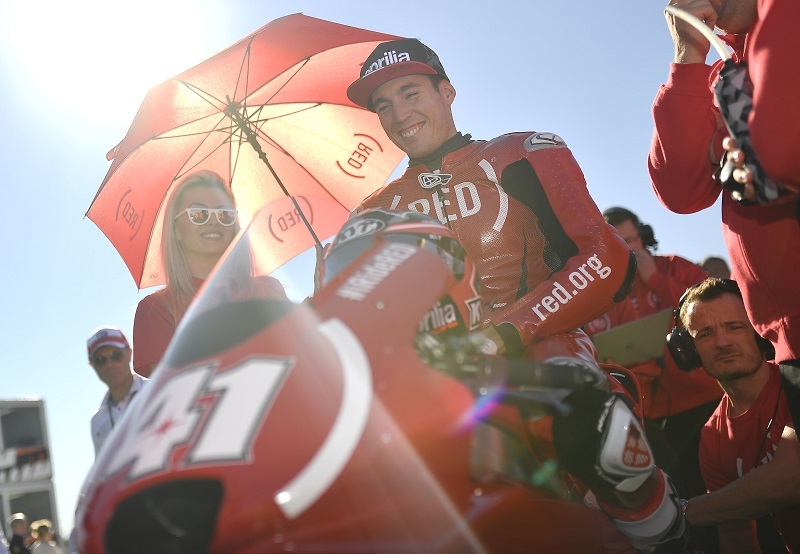 In any case, 2017 seems to have laid the foundation for development which, without any break, will begin on Tuesday when Aleix Espargaró and Scott Redding will be on the Aprilia V4 machines during the tests scheduled at Valencia. Much more than just a sneak peek of the 2018 season.